FRANKFURT (Reuters) - Rene-Christopher Wollmann, head of Mercedes-AMG's 2.75 million euros Project One supercar program, has moved to a job at Automobili Pininfarina in a sign that innovation in high end electric sportscars is shifting toward small start-ups. Wollman's move, which has not been made public, comes at a time when big carmakers, like Volkswagen and Mercedes, have been blindsided by stricter and costly emissions tests, forcing them to focus resources on mainstream electric models and on cleaning up their combustion engines. Wollmann was hired because he also helped develop an electric version of the AMG SLS for AMG Mercedes, a skill that will help Automobili Pininfarina, owned by India's Mahindra & Mahindra Ltd, develop its own zero-emissions vehicle. "I did the first electric hypercar for AMG so this was the perfect fit," he said. 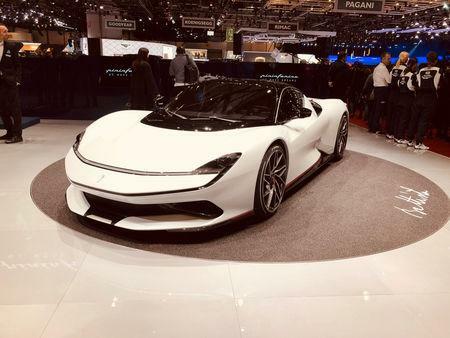 "Rene Wollmann came to us because he said it was difficult to realize projects like these at a large company," Michael Perschke, Automobili Pininfarina's Chief Executive told Reuters. Another start-up electric carmaker, Rimac, will provide the Battista's electric motor and battery pack. "Powertrains with 700 kilowatts of capacity are a niche product. Porsche focuses on the high volume stuff. 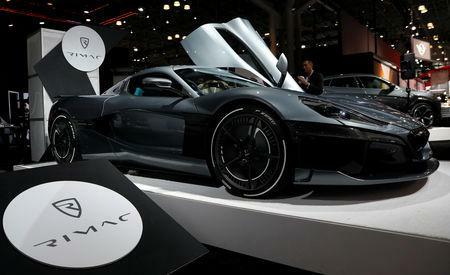 They don't have the capacity to deal with every niche," 31-year-old company founder Mate Rimac told Reuters. Start-up carmakers are better able to compete with large established players thanks to advances in virtual engineering and the prevalence of consulting firms that specialize in software and IT systems, like Germany's Ferchau Engineering and Italy's Danisi Engineering. "You do 80 percent of chassis development this way and reduce development time by six to eight months. The rest is validation and fine tuning," Automobili Pininfarina's chief product officer Paolo Dellacha said. Meanwhile Daimler's AMG Project One, launched in September 2017, with 1,000 horsepower and a top speed exceeding 350 km an hour, will not reach customers until next year. "There are some details we need to sort out with the vehicles," AMG spokesman Jochen Uebler said, when asked about the certification problems.